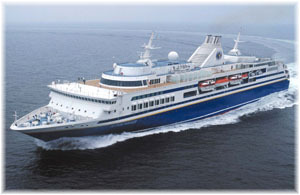 Semester at Sea’s Explorer is today en route from Antwerp to Lisbon. As she will be spending a lot of time in Europe over the next year, we have a look at her operations. In addition to her academic voyages, next spring she will offer three Enrichment Voyages from Barcelona, Le Havre and Dover, cruises that can be booked by the general public. Meanwhile, Hapag-Lloyd Cruises visited London last week to preview its new Europa 2, due for delivery from STX France in April 2013. This ship has been designed for a younger but affluent audience and will feature quite a few interesting differences from today’s other cruise ships. Finally, we see that in an effort to boost early bookings cruise fare guarantees are beginning to take hold in the UK. Fares for this extended 25-night voyage start at $2,199 per person in an inside cabin and $2,999 in an outside cabin, plus port charges of $280. 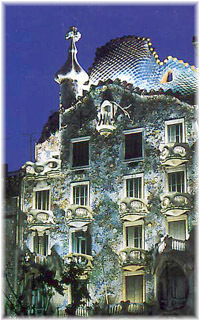 April 26-May 11, 2013 (15 nights): Barcelona to Le Havre via Monte Carlo, Livorno (*), Cadiz (*), Casablanca (*) and Lisbon. May 12-25, 2013 (13 nights): Le Havre (*) to Dover via Antwerp (*), Amsterdam (*), Leith, Belfast and Dublin (*). May 25-June 16, 2013 (22 nights): Dover (*) to Southampton via Oslo (*), Stockholm (*), St Petersburg (2 nights), Riga, Copenhagen (*) and Hamburg (*). Fares for these voyages will be available shortly but the first two cruises are also being offered as a 30-night voyage between Barcelona to Dover, with fares from $2,599 per person in an inside cabin or $3,149 in an outside cabin, plus port charges of $280. A limited number of sole occupancy cabins will also be available, with a single supplement of 50% above the base fare. Last Thursday, Julian Pfitzner, Hapag-Lloyd Cruises’ product manager for its 39,500-ton newbuilding Europa 2, visited London to preview its new ship, s now due to enter service in just over seven months. This is something that is a little different from what is on offer in today’s cruise market, even from ultra-luxury operators. Hapag-Lloyd Cruises seem to be basing their marketing on the proper definition of that word: identifying a need in the market and designing a product to fulfil that need at the best price available. Unlike her ultra-luxury fleetmate Europa, the world’s top-rated ship since she was introduced in 1999, Europa 2 will be aimed squarely at another audience – the affluent executive and professional classes still in work, younger in age and quite possibly with growing children. The new ship’s dress code will therefore tend to be smart casual rather than strictly formal. To reach this audience, the new ship’s operation will be quite different from others in the fleet. Her cruises, at least in the summer season in the Mediterranean, will be based on a 7-day cycle that can be extended to 14 or 21 days, as no itinerary will be repeated before three cruises have elapsed. In addition, to look after their children, nannies will be engaged on a ratio of one for every four children, something that will mean the crew size might vary from cruise to cruise. And because of this and the need to house entertainers, although the ship has been designed to take up to 516 guests, it will be unlikely that her passenger load will ever top 480. There will also be seven “family” suites, adjoining paired verandah suites with doors between them. What’s more, children up to the age of eleven will be carried free of charge as long as they occupy a suite with their parents. The new ship’s itineraries will be based on ports that have plenty of air service and are easy to get in and out of – for example, in the Mediterranean, Barcelona, Monte Carlo (Nice) and Venice, in the Far East, Singapore and Hong Kong for winter cruises, and Dubai in the Middle East. The Europa 2 will also introduce some new concepts. While she will have a magrodome, it will not be the usual cover over a pool deck but it will be two decks high. And sixteen of her suites will be designated “Spa” suites, meaning not that they will be next to a spa but that each individual suite will be equipped with its own spa equipment – whirlpool tubs, rain showers and their own steam saunas. All suites will have private balconies, making her only the third ship in the world to offer this feature (the other two are Regent’s Seven Sea Mariner and Seven Seas Voyager). The minimum suite size will be 301 sq ft plus a 75 sq ft balcony, and the largest will be in excess of 1,000 sq ft.
An important thing about Europa 2 is that every cruise will cater to international passengers, i.e. both English- and German-speaking. This is unlike the present practice, which is to nominate several international cruises for each ship in the fleet. By this means, it is aimed to increase the number of English-speaking passengers by four or five fold, from ten to twenty per international sailing now to fifty to eighty in three to five years’ time. As to meals and drinks, there will be eight different restaurants to choose from and wines and spirits will be sold at prices that are cheaper than on shore, unlike virtually all other lines other than the all-inclusive ones. The usual practice on cruise ships has over the years moved away from duty free prices to charging full shore side hotel prices. Hapag-Lloyd’s goal in this area is not to maximise on board revenue but to offer value and a good experience. Also, in the alternative restaurants, it will not be possible to book more than forty-eight hours in advance, giving all an opportunity to experience them whereas on some lines experienced old hands have tended to monopolise these spaces. All in all, some interesting ideas are coming out of Hamburg. On July 23, The Cruise Examiner mentioned that Cunard Line and P&O Cruises were introducing new “Vantage” early booking fares, whereby they guarantee to match any subsequent fare reductions by either on board credits or upgrades. The idea for these “Vantage” fares was taken from Carnival Cruise Lines’ “Early Saver” fares, introduced in North America in 2009. As a result of this effort to improve early bookings, several other lines, including Fred Olsen with its “Price Pledge,” and Swan Hellenic and Voyages of Discovery with their “Price Promise,” have either followed suit or announced that they already had such a plan in place. The intent of all these pledges and promises is to try to increase early bookings and not have so many people waiting for a better deal, which has often happened in the past. But still, the consumer will be much better off with such pledges, even if the difference is not paid back in cash. Nevertheless, it is worth reading your terms and conditions carefully. In the case of Cunard and P&O, for example, the deposit requirement has been doubled, which means that you will lose twice as much if you cancel before final payment date. When Carnival introduced its own “Early Saver” fares three years ago, it also did so on the premise that deposits would no longer be refundable as they had been in the past. And cancellations seem to be becoming more frequent in this uncertain age we live in.